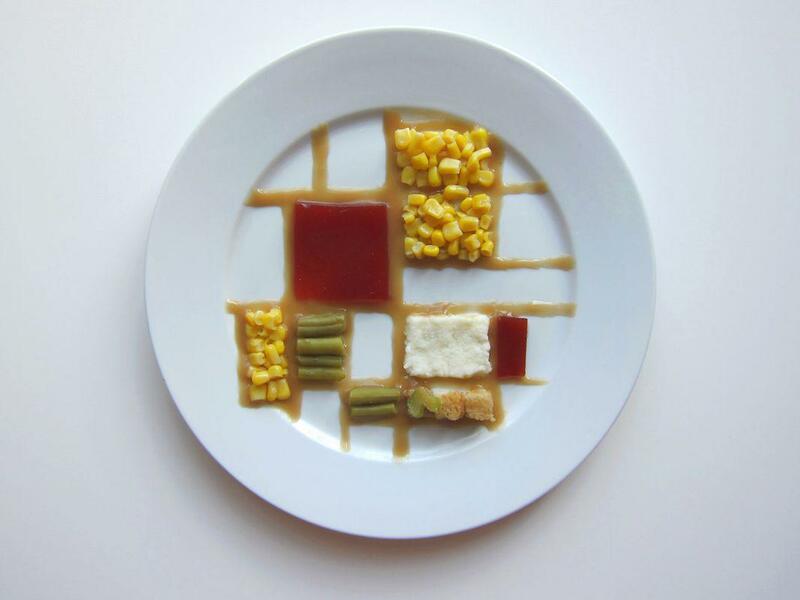 Hannah Rothstein plates Thanksgiving dinner in the style of Picasso, Pollock, Mondrian, and other famous artists. 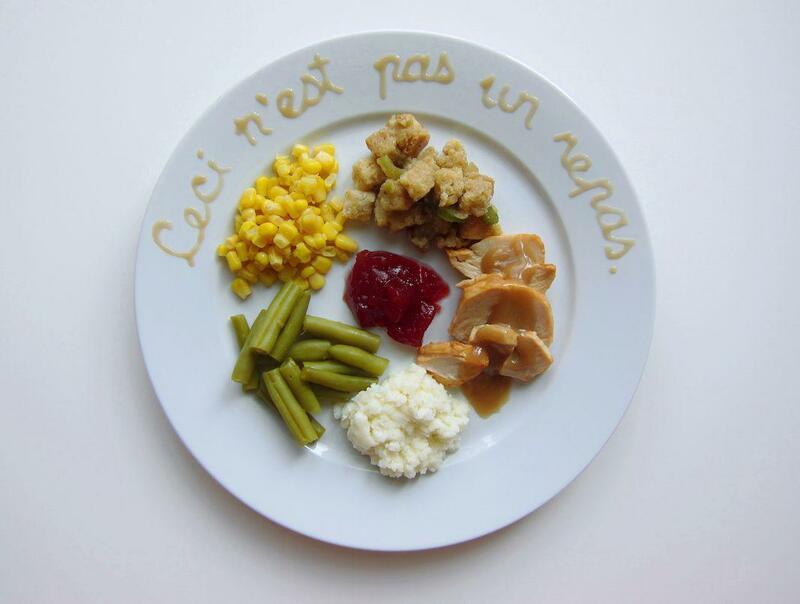 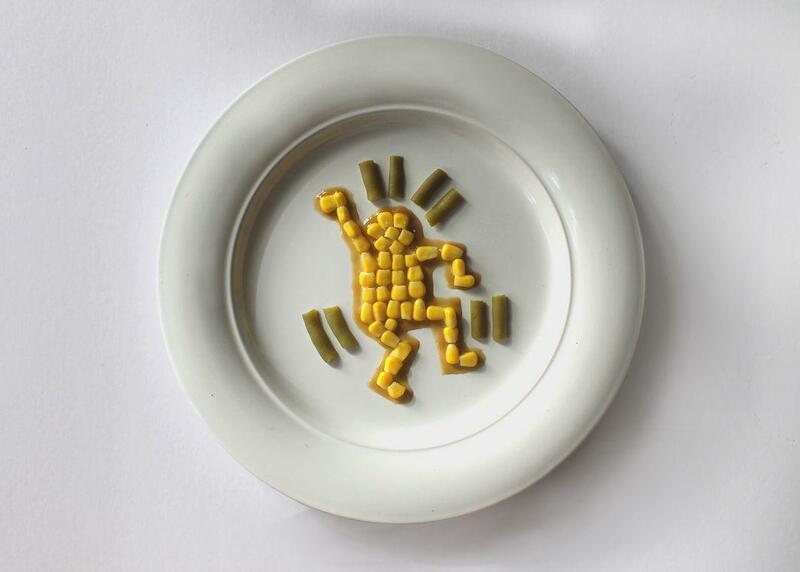 What would a Thanksgiving meal look like if Pablo Picasso, Piet Mondrian, Jean‑Michel Basquiat, or Damien Hirst was plating dinner? 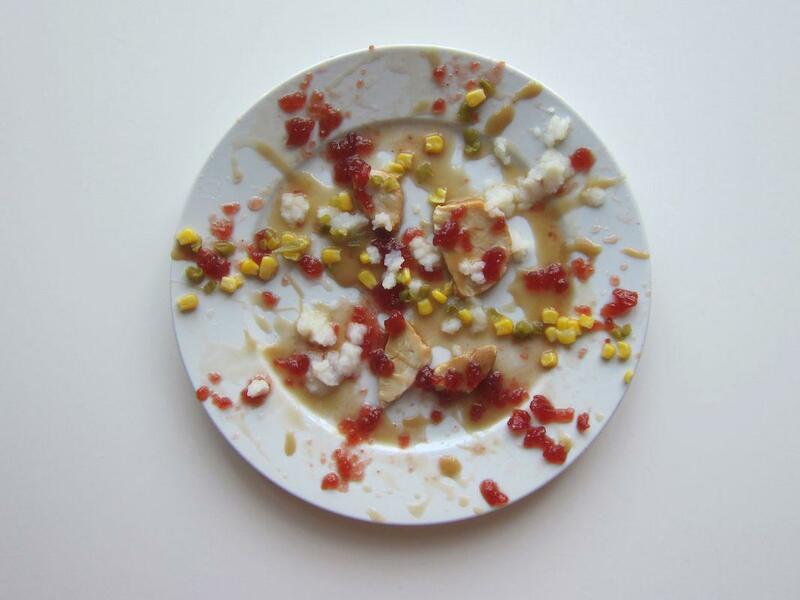 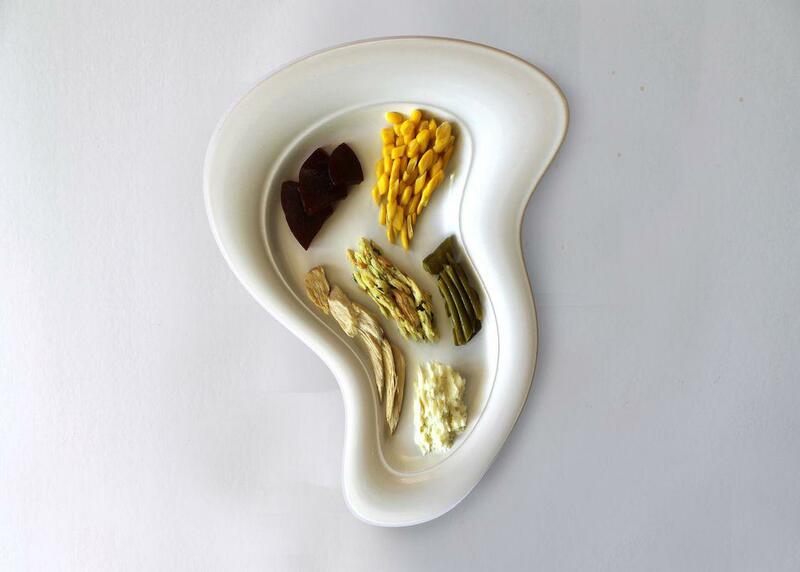 Last Thanksgiving, Berkeley, California–based Hannah Rothstein, currently artist in residence at Planet Labs, decided to imagine how 10 famous artists would plate Thanksgiving’s traditional meal of turkey, gravy, corn, green beans, cranberry sauce, stuffing, and mashed potatoes. 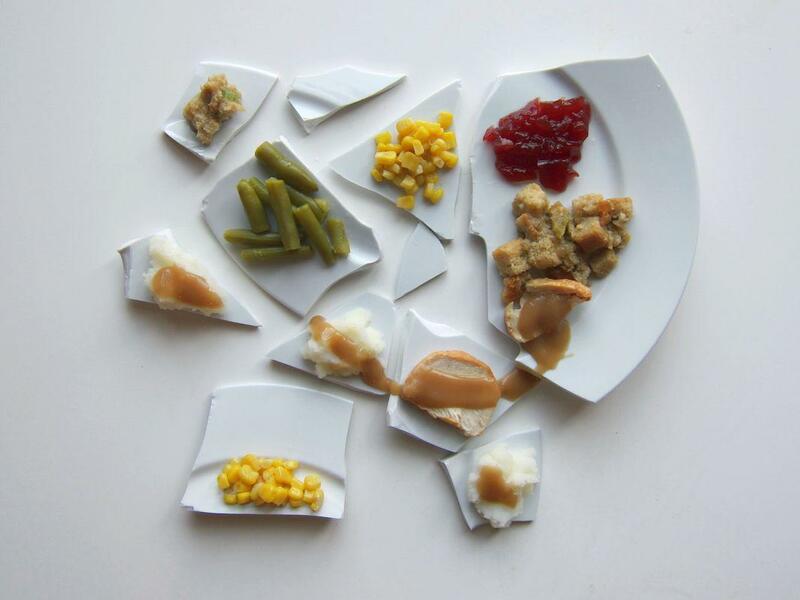 Her series “Thanksgiving Special” was a whimsical homage to the art of plating. 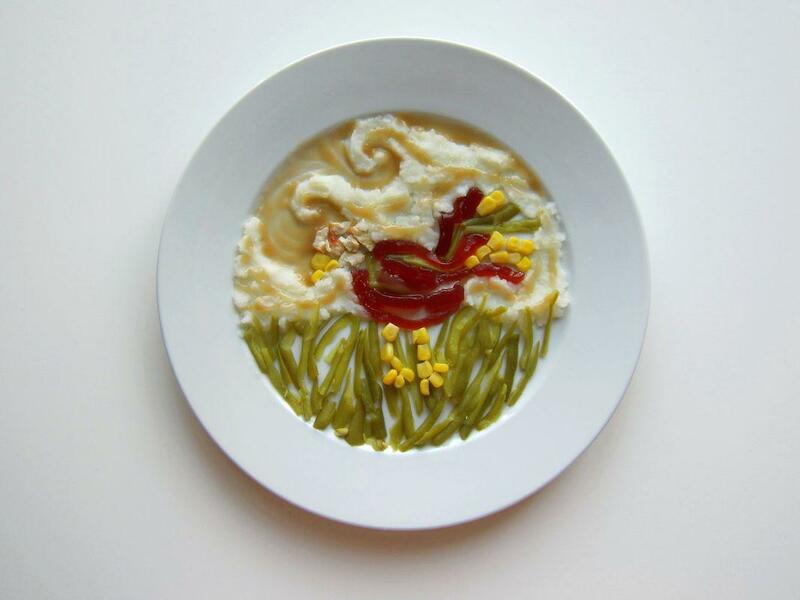 This year, she’s added 10 new artists to the bunch with “Thanksgiving Special: Seconds.” Rothstein shared a selection from the series and emailed some brief comments on her design process. 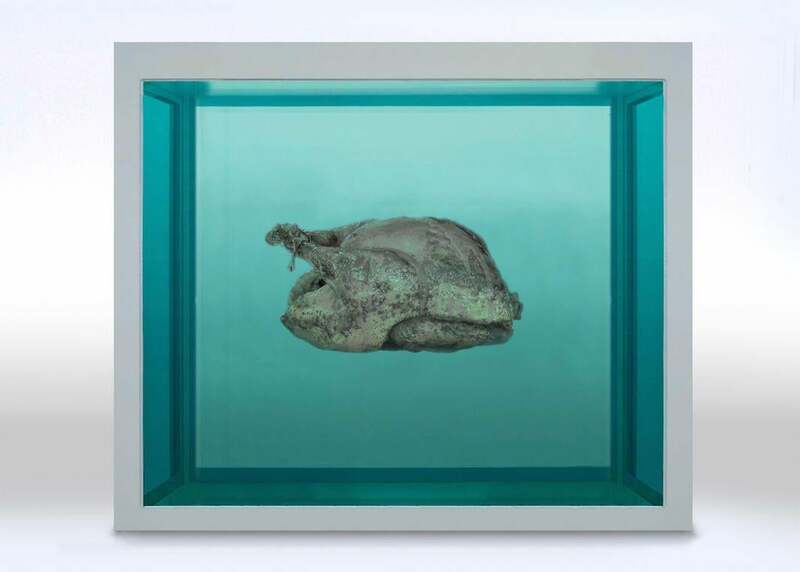 The rest can be viewed on her website. 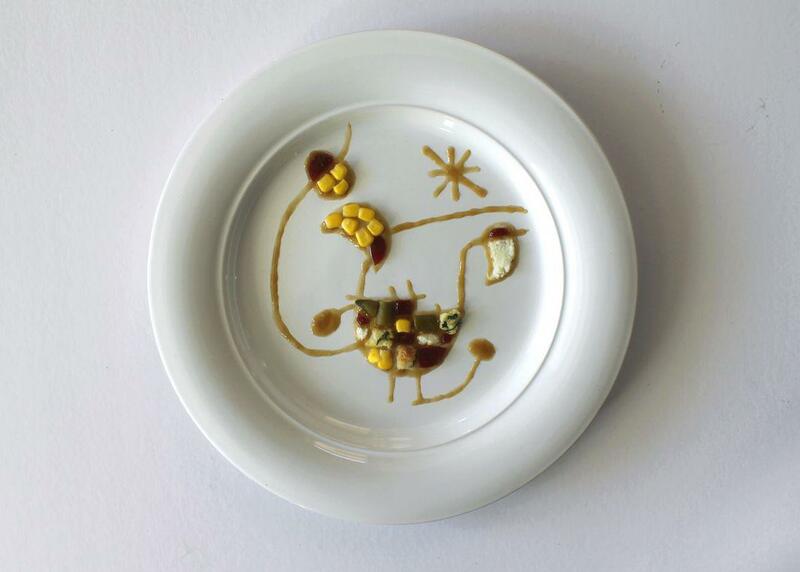 Jean-Michel Basquiat. 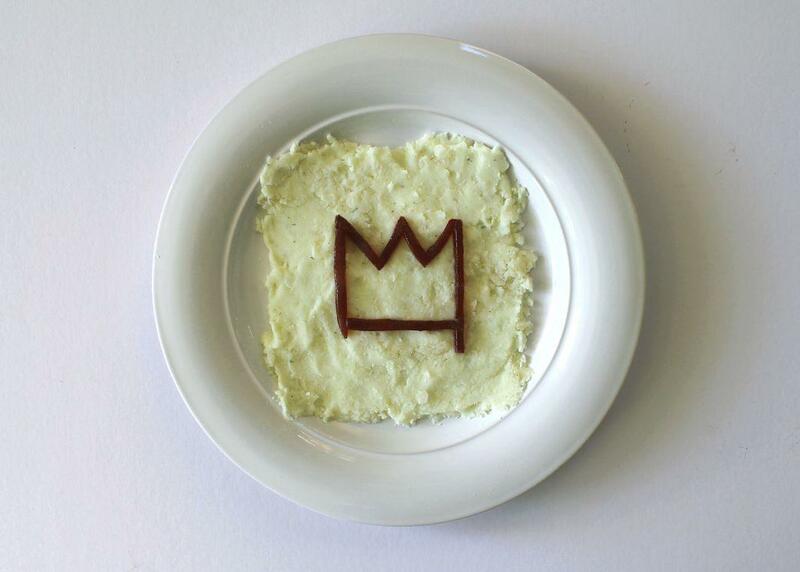 “I chose to keep the background simple so as to keep the eye focused on the symbol for which Basquiat is best known: a crown,” Rothstein says.